Overwhelmed with the mounting pressure of event, this special moment sometimes heads towards a catastrophic experience for both event-host and event planner either due to mismanagement or miscommunications. By the time they realize the actual cause it has already left a dent of mistrust, fraud, and lies, which drags them to the court’s door defending their truthfulness over financial accounting and contractual agreement. Let’s get inside of some legal-battles between event host and event planner that became the talk of the town. If you want to experience the heavenly luxury, then no other than Indian wedding event could simulate better than any – dine, décor and dance everything plays in a symphony of celebration nodes. However, sometimes, this pleasant occasion could turn into a nightmare when host and event planners relation get sour over the agreed terms. A Chicago based Indian businessman Shalabh Kumar sued New Zealand-based Indian Wedding planner for charging fees for their 1 million dollar wedding that were never agreed to. Also, they complained about them failing to put up a welcome banner with an AVG logo. Solution: A common checklist should be shared between host and organizer to assure they are on the same page. Before any changes in event execution, the host should be informed about the changes and record should be maintained. Sports injuries in the field are inevitable, but in rare cases, it extends off the field. This incident in Ryder cup created a controversy over spectator’s safety when one of the spectators hit by a golf-ball and has to lose her one eye. The victim is now pursuing legal action against the Ryder Cup Organiser for a "lack of safety rules” and blamed marshals for not yelling FORE as a warning signal. Solution: Sport event organisers should sign off the site in terms of structures and health and safety. Wherever feel necessary include information on how many stewards will be on site and any particular processes they will need to follow for safety. Solution: This tells how essential it is that the event is handled and organized by a pro-organizer. Also, the organizer should advertise and present things that are pragmatic and real. Radius clause by famous music show Coachella states that no artist is allowed to perform local shows months before and after the festival in a radius of the 1,300-mile zone, and further specifies that the artist may not advertise additional shows in the area until one month after their Coachella performance. This made Oregon-based festival organizer “Soul’d Out Productions” crazy and filed a lawsuit against Coachella organizer. Solution: Live performance got bigger in all terms and organizers probably sees other performers as a great threat on their business rights which they should be resolving on mutual understanding rather than exploiting each other on legal rules. Solution: A timely application for a trademark is essential and make sure all supporting documents are provided to optimise the approval rate. Also, before filing trademark application do a proper survey on the name and product. 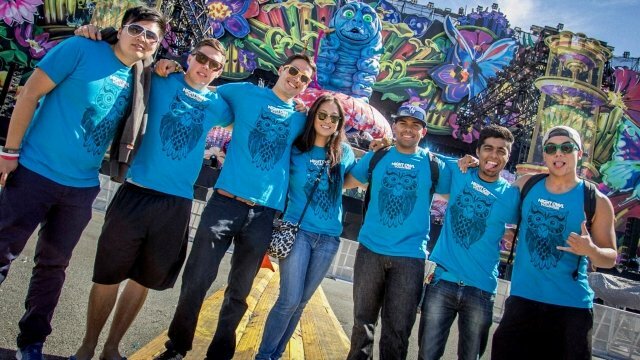 A group of festival volunteers in California has filed a lawsuit against live events promoters “Live Nation” and “Insomniac Events”. Volunteer claimed that they were hired “to carry out the work of paid employees,” but were subsequently not paid for their time in accordance with the Fair Labor Standards Act. They further claimed that promoters kept the “refundable volunteer deposit” as their work security also unlike other festivals where the volunteer is compensated with festival ticket and free time to enjoy the event; the suit alleges that no such free time was allocated, read here more for details. 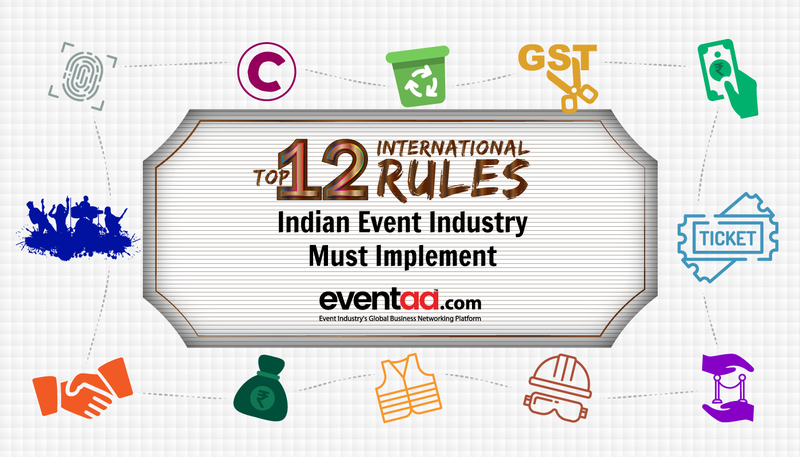 Solution: From this, it is understood that vague agreement between volunteers and promoters could hamper event zeal, to avoid the controversy over unpaid work in events a transparent communication should exist between event organiser, promoter and volunteer, better if it is a written contract. Juan Carlos Jil, a Paralympic athlete and blind activist, had sued America’s largest EDM festivals Ultra Music Festival for violating Title III of the Americans with Disabilities Act (ADA) telling that the festival’s website and live events are inaccessible for the visually impaired. According to their lawsuit, Ultra should be more sensitive and aware of its attendees with disabilities. 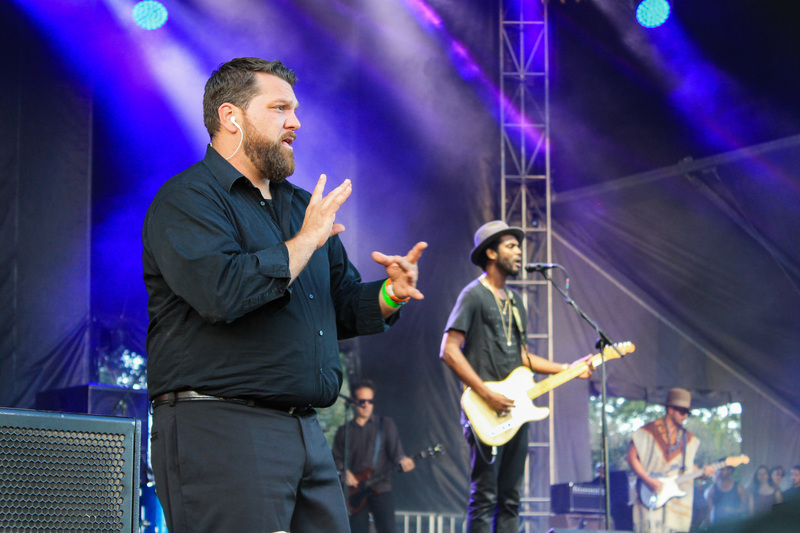 To which he gave reference of those festivals that used sign-language interpreters and other accommodations. Solution: Various countries have different policies for blind & deaf, but to exercise the laws of equality in live-events they can perhaps provide headsets for the visually impaired and separate stage or zone for attendees that are deaf or hard-of-hearing to enjoy event same as others. 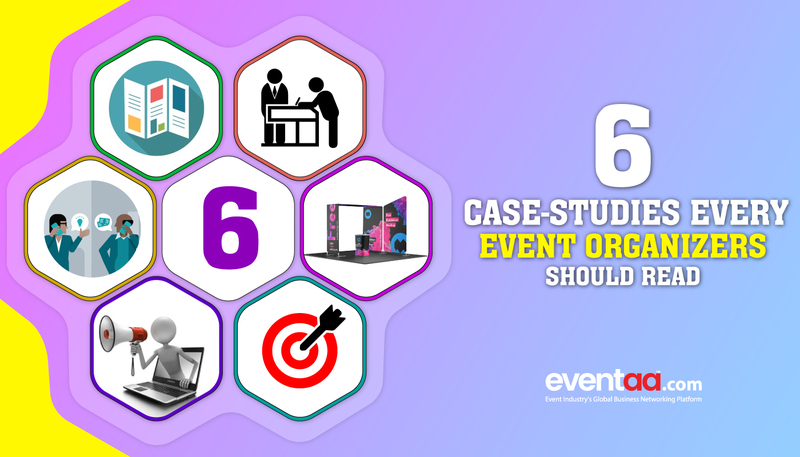 Disoriented ticket sale to collect revenue from every corner is a shortcoming of an event planner, especially picking up the online platform. In most cases, the confusion built over online ticket selling exists due to unclear policy and unexpected changes at last moment by organisers. Here is one such example where a ticket resale website Viagogo sued famous artist Ed Sheeran’s promotion company “Kilimanjaro Live” over the company’s decision to cancel thousands of tickets for Sheeran’s concerts purchased through the ticket resale site. According to Viagogo, Kilimanjaro Live confiscated thousands of genuine online tickets at the gate, and forced the fans to buy new tickets over the event counter, and pocketing millions of pounds in duplicate sales. The case is under trial. Solution: Terms and conditions over online ticket selling should be clear,and refund clause should be agreed mutually for any unexpected changes. Event venue is of prime importance, and advance booking is evident to avoid last minute hustle especially if it is a wedding event. This couple from Timonium, Maryland booked a case against event venue Shade Trees & Evergreens for breach of contract. To reserve the venue they paid$875(25% of total amount) in advance, but due to local authority permit and zoning violations, Shade Trees & Evergreens could no longer hold events. As per the governing authority, the event venue did not have a building, occupancy, electric or plumbing permits, and a septic system and also observed that it had violated the county’s zoning ordinance. When the couple did not get a satisfactory response for a refund, they decided to move to court seeking $30,000 compensation for punitive damages. Solution: Re-asses the refund policies thoroughly before booking the venue. Also, check documents with necessary permit clearance as well as safety measures. Events are at risk of unexpected incidents claiming compensation from event planners; some cases are accidental and few out of negligence. 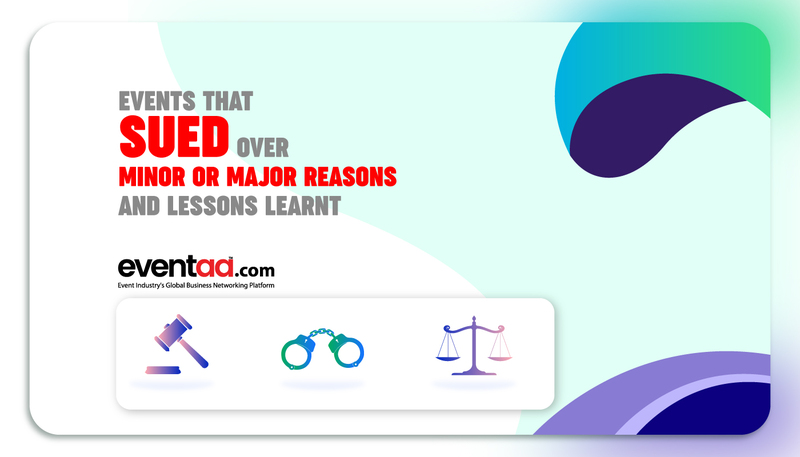 Let know if you come across any such fair or unfair trials that could be resolved over the table and not inside the court.